"In 1996, I had suffered a seizure and in November that year, on my 16th birthday, I was diagnosed with a brain tumor. The Doctors thought that the tumor was benign and posed no serious long term risk and that I would go on to do all those things like go to college, fall in love, marry, have children etc. - those things that so many people take for granted. On August 11, 1998, just before my 18th birthday, I underwent brain surgery to remove as much of the tumor as possible. The Doctors had been wrong - the diagnosis was CANCER. This was the beginning of a life experience that would change me forever. I will never forget the words that came from the cancer clinic, "We do not have a cure for Anaplastic Astrocytoma". They offered us chemo and radiation - they rated my chances of survival at 20% for living another 5 years. I was devastated ! My family and I left the clinic with very sad hearts, but even after hearing these words, perhaps some of the most feared words to hear at 17, my faith in God's Goodness and mercy was not altered. God has blessed me with a deep, all encompassing and everlasting peace!" Understandably, Melanie's parents, family, friends church and community were determined NOT to accept the cancer clinic's assessment of her future! They were all determined to find a cure that would save her life! With much prayer and research, God lead them to a treatment in Houston, Texas and then the next worry began ... just how could they raise the money to pay for this ($15,000 per month) treatment ? Once again God gave them all a deep peace. With the help of her wonderful family, friends, church and community, the Melanie Serr Trust Fund was formed, and the fund-raising began. Melanie felt a deep desire to also contribute to her treatment. How ? Well God has blessed Melanie with a wonderful gift ... a beautiful voice with which to sing God's praises! 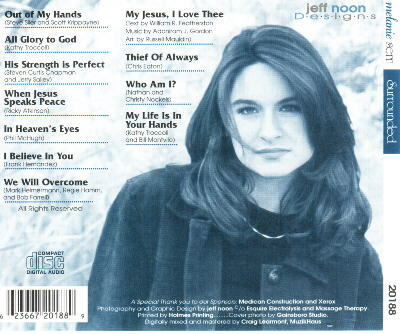 Melanie went on to make a CD of some of the Christian songs that have ministered to her and which have given her the extra strength that she would need to face those tough days that lay ahead. For 9 months Melanie was on a I.V. form of the treatment the Houston Cancer Clinic prescribed. It pumped almost 24 hours a day directly into her heart cavity. In July of 1999 Melanie was put on a oral (capsule) form of the treatment and her situation is looking very promising ... In fact the most recent PET scans done in June/July show no traces of the cancer or tumor. Melanie will celebrate her 19th birthday at the end of the year (1999). To all those folks who have helped to make all this progress possible ... THANK YOU ... but more importantly, we all praise God for his Goodness and Mercy as we humbly follow his plan for Melanie's life and for our own lives ! and that they too may feel the Awesome Presence of God at work in their own lives. I give God all the Praise and Glory for what He has done in my life ! " Just a quick update on Melanie's last appointment in Houston at Easter. Since her last MRI in November 1999, the remaining scar tissue at the tumor site has shrunk 27%. We were very excited about this news. She will remain on the capsule form of the medication for at least six months to see if there is going to be more shrinkage in the scar tissue. This is the first significant reduction in the remaining tissue since her operation in August 1998. Melanie is feeling great and is now working a part time job at The Body Shop in our Mall. She sells lotions, shampoos, creams, etc for your body. She is thinking about going to Bible College in the fall, but nothing is finalized yet. We are just enjoying life back to normal and are not rushing that decision. Just a short update on Melanie's status. She is feeling great and had a great summer at Eagles Nest Ranch as a camp counselor. It is a Christian camp for kids. She has decided to attend the YWAM base at Eagles Nest for Discipleship training. This program will go from Sept to Dec with a two month hands on practicum / mission to an area of need. Tentatively the group would go to India for January and February 2001. We'll take it month by month. Melanie is still on the antineoplaston medication and has an MRI scheduled for November 2000 to check her progress. We are anticipating good news. If you are interested in reading an article about her, she is featured in "Women's World" magazine (August 29 edition). She is appearing on the Miracle Channel TV show out of Lethbridge on Sept 6 , and she is flying to Toronto on Sept 12 to tape a show on "Life Today" with James Robinson. His show originates out of Texas, but he will be in Canada to tape some shows at One Hundred Huntley Street studios. So as you can see, Melanie's life is a very active one and one we are very happy with. She is touching many people and continues to share her miracle with anyone who calls. Melanie's interview with James and Betty Robinson (Life Today) will air on Thursday November 2, 2000. It is an Internationally broadcast show and can be viewed on many Christian Networks and various satellite networks. It will be shown in Canada and the USA. You will need to check your local time and channel as it shows at different times in different states and provinces. Calgary CICT Ch 2, Lethbridge CJIL Ch 17, Toronto VISN Ch20, 50, Houston Ch 22, 29, 49, 55. The other big news is that Melanie has met the love of her life and is engaged to be married. The tentative date is April 7, 2001 for the wedding. I trust everything is good with you as well. Melanie was married on April 7, 2001 to Kevin Ferguson. Everything turned out wonderful and the bride was beautiful. They were married in the Cypress Hills at Eagles Nest Ranch. This is the Christian Camp where Melanie and Kevin took their Discipleship training together last fall. It snowed there the week before and the week after the wedding, but the week of the wedding was perfect. They even had outside pictures taken. Melanie composed a song and sang it to Kevin during the ceremony. This was a highlight, but the whole day was a celebration of giving glory to God. The happy couple are now living in Southern Alberta. It is a rural community close to the family ranch where Kevin helps his family with their cattle. Melanie has had a very exciting time leading up to the wedding and was getting tired out. She needs to get her rest, to avoid having any slight seizures. Please continue to pray for her continued healing, good health and for good results of her ongoing MRI scans. She continues to be on the treatment from the clinic in Houston Texas. Melanie and Kevin completed their Youth With a Mission training and did their practicum internship in Taiwan in 2002. This was a fantastic opportunity for them and they learned a great deal about life and our planet. The year ended on a good note and we had a very nice family Christmas. Melanie had been having some seizures and had gone back on an anti-seizure medication. She was prescribed a mild medication that was recommended for women in their child bearing years. Everything seemed fairly normal. In the early new year Melanie started off very nauseous and was generally not feeling well. We thought it was due to the new meds that she was on, and the usual period of adjustment for her body. Some time later, her Mom noticed that her stomach looked swollen, almost like she was pregnant. Melanie went to her family physician and had a pregnancy test which came back negative. She continued to not feel well and her anti-seizure medication dosage was adjusted. Her stomach continued to swell. Melanie decided to do a home pregnancy test and guess what...it came back positive . An ultrasound confirmed that she was three months pregnant! Then we knew why she was so sick. It was morning sickness. Melanie has continued to have seizures throughout the pregnancy, but she refuses to increase her anti-seizure meds, even though she has been reassured by her doctors that the meds will cause no harm to the baby. She has 3 months to go, so we continue to watch her closely, and pray for her health and the baby's health. She is due on September 7, 2003. The latest MRIs and PET scans show that the tumor/scar tissue has re-grown at the tumor site, but the scans show no signs of cancer. The Neurosurgeon that she sees in Calgary has not suggested any further surgery. So we continue to monitor the situation and try to control the seizures. Melanie has a very strong character and a very strong faith in God. We all continue to pray protection over her and for continued healing. It has now been over six years since her first seizure. We are thankful for each and every day. Melanie is now twenty-two years old and has been married for two years. Foothills Hospital on Tuesday January 20, 2004.
that they be asked to pray or fast for Melanie. Thank you for thinking of Melanie on the 20th. Hello: It has now been 3 weeks since Melanie's surgery at the Foothills Hospital. If you saw her today you would never know that she has had any health problems. She looks fantastic! All our prayers were answered, and we know that you have all sent up prayers for Melanie too. We know that even though Melanie is healed on the outside, she has a lot of healing to do on the inside. Please continue to pray for her healing and good results on her follow up MRIs. She will be having a post-op MRI in about five weeks. Melanie was admitted for surgery at 6:30am on January 20. 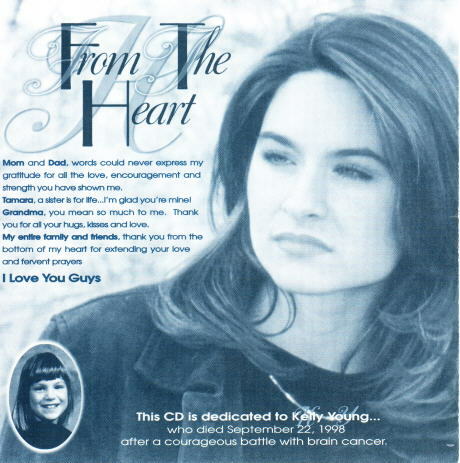 Melanie's CD was played in the OR during the surgery. She came out of the recovery room at 6:30pm. Throughout the surgery, there were a series of MRIs done to assist the surgeons in their task. We were updated every few hours as to the progress in the OR. This was a very stressful day for family and friends. Some of our family drove three hours from home, waited the whole day in different waiting rooms, did not even get a chance to see Melanie, and then drove back home for another three hours. That is unbelievable support. After surgery, Melanie was transferred to the Intensive Care Unit of the Neurosurgery Ward. She was plugged in to a multitude of monitors and IVs, and the nurses took over. They were excellent. They were very supportive of Melanie and tried to accommodate Micah's visits to Melanie's room as best they could. After the fourth day in ICU, they even allowed Micah to have her swing in Melanie's room so Melanie could keep a close mother's watch on her daughter. This was probably the first time in the history of this ward that a four month old baby was a regular visitor and stayed there for ten hours per day. Micah was an exceptionally well behaved little girl. Melanie's husband, Kevin, and the rest of our family became the child care department on the ward. We enjoyed the bonding experience and wouldn't have had it any other way. After seven days in ICU, Melanie was transferred to the Neuro Recovery ward. After another three days she was discharged from the hospital. Her blood count had dropped due to the surgery and it is now coming back up on its own as her body begins to recover. She had 40 stainless steel staples in her head to close the incision. These have now been removed. She is on a steroid to reduce the swelling in the brain. This medication is scheduled to be stopped in five weeks. She is also on anti-seizure meds to control seizures. She has not had any seizures since the surgery!! She did not have any noticeable complications with her speech, but she does have a slight bit of weakness on her right side. She has been given some physiotherapy exercises to strengthen her right side, and this is showing continuous improvement. There is a slight deterioration of her fine motor skills in her right hand and a bit of numbness in her right foot. We are praying for complete recovery. After the MRI in five weeks, Melanie will make a decision as to her further treatment, if any. It appears that the surgery was a success and that she is well on the road to recovery. She is now at home and on a rest and recovery program surrounded by family and friends. She was an inpatient for only 10 days. Once again, thank you for your continued love, prayers and concern for Melanie and her well being. We are thankful that the surgery procedure, techniques and equipment are much improved from 1998. The surgery was a success, and Melanie is doing great. We are believing in complete healing. Some of you have received updates from time to time over the last six months, but I will include you in this email FYI. Our family has had a very busy start to 2004, and I can't believe that there are only four months left until New Year! We started the year off with Melanie's second neurosurgery at the Foothills Hospital. After two weeks in Calgary, she came home January 30th. All indications were that the surgery was successful. February and March were recuperating months. Melanie's sister had a baby boy at the end of March, and she became aunty Melanie. In April, Melanie and Kevin celebrated their 3rd wedding anniversary and then it was determined that she would start radiation therapy at the Tom Baker Cancer Clinic in Calgary. This was a six week treatment plan that was completed May 21. Melanie, Kevin and Micah came home and finally emptied their suitcases. Unfortunately, one week later, Melanie's grandma passed away and we started June off with a funeral. Melanie continued on anti-seizure medications and a steroid to reduce swelling, until July. She had an MRI and doctors appointments in July and is now on anti-seizure meds only. She continues to take a whole food supplement and a multitude of vitamins and antioxidants. Melanie has been recovering during July and August and will have another MRI and a series of doctor appointments in September. The recent MRIs are showing good results. The surgery removed most of the abnormal tissue and the radiation therapy continues to shrink the remaining abnormal tissue. Melanie has not had a seizure since her surgery in January 2004. She is trying to regain her strength day by day and is trying to catch up on her sleep. This is difficult with an eleven month old daughter to care for. Micah will have her first birthday on Sept 8, 2004. Any prayers that could ask for restful sleep, no seizures, complete healing, improvement in short term memory, post-radiation hair growth, and contentment in Micah would be gratefully received. Thanks for your continued support,prayers and concern for Melanie. Seasons Greetings to all!! This is our version of a Christmas card, as time (as usual) does not permit cards to be sent out. 2004 was a challenging year for our family. It started with Melanie�s second Neurosurgery in January. After two weeks at the Foothills Hospital we all came home to recover. The surgery was a new procedure called an MRI assisted neurosurgery. It is a very long, time consuming procedure, but also very accurate. The surgery was a success. I think it was the first time in the history of the Neuro ICU that a 5 month old baby was a roommate on the ward. Micah was such a great baby and a joy to ALL. The next big event was the birth of our second grandchild. Kai Reece Noon was born on March 27. Everyone came through in flying colors! We finally have a boy in the family. It was shortly thereafter that he had a Calgary Stampeder outfit and a Calgary Flames bib. Tamara has taken a leave of absence from her teaching job. We are so blessed to have both of our grandchildren living in Medicine Hat. In April Melanie started a Radiotherapy Treatment back at the Foothills Hospital. It is a very accurate pin point treatment that has continually improved over the years. The treatment was successful for Melanie. This was a six week treatment that required her, Kevin and Micah to live in Calgary. Everyone tried to help out as much as possible, but it was a long time for their family to be living out of a suitcase. They were very happy to come home May 24. I was lucky to be able to go to watch our Tigers hockey club play in the Memorial Cup Tournament in Kelowna for a few days. Also played a few rounds of golf while I was there. May 28 was a tough day, as Donna�s Mom passed away. This was a time of grieving, but also a time to celebrate Mom�s life. It was a good family time and it was so nice to be surrounded by family and friends. We know she will be watching over us this Christmas from above. The summer seemed to fly by. We celebrated our 31 wedding anniversary with a weekend in Calgary. We took in a performance of the Cirque de Soliel (sp). We had a family holiday at the Cypress Hills Four Seasons Resort. Grandma Serr, Melanie�s family, Tamara�s family, and Donna and I all stayed in a condo. It was perfect weather, and the highlight was the breakfast that Jeff, Kevin and I prepared. It put the girls� meals to shame. Melanie�s hair is finally growing back and we all teased her about that. Luckily she�s a good sport. We ended the year with an extended celebration of Donna�s 50th birthday. All her friends organized special lunches with her, and we were out for supper a few times to toast her, and she even had a tour of the local Senior�s club called the Veiner Centre. She received her membership package to join the club after her school administrators took her there for lunch. Donna and I went to Las Vegas for the weekend and watched Celine Dion perform at Caesars Palace. We had a very fancy dinner in the Eiffel Tower restaurant at our hotel (Paris) overlooking the Las Vegas Strip. It was a great weekend. When we got home Tamara and Melanie had planned a surprise 50th party for Donna and we definitely �surprised� her. It was a great evening with family and friends. Our year ends with us waiting for Melanie to have a PET Scan in Edmonton mid January. We are praying for a good result and a good year ahead for our family. We are thankful for everything that all our families have been blessed with, especially happy, healthy grandchildren. They are our future. We wish you great health, much happiness, and family prosperity in 2005. We finally received the interpretation of the PET scan that was done in Edmonton January 12, 2005 at the Cross Cancer Institute. The resulting impression of the attending Physician stated �No scintigraphic evidence of recurrent metabolically-active tumor�. This is the result that we have been praying for. It means that Melanie has a clean bill of health. We are obviously relieved with this result, and are very happy for Melanie, Kevin and Micah. Thank you for all of your prayers and positive thoughts for Melanie. If you can view the CBC, there will be a TV update of Melanie on the Fifth Estate program on Wednesday February 9, 2005. It airs at 9:00pm MST, but you should check your listing for broadcast time in your area. (So, now it's almost 10 years later) WOW ... THANKS for all your prayers folks! What else is there to say but: "Praise be to Almighty God!" 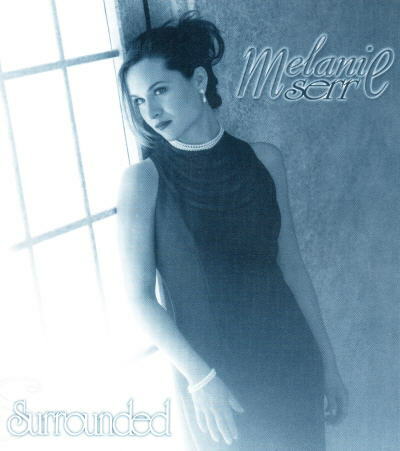 Sadly, many years after her initial diagnosis at 17, when her Dr's gave her less than 5 years to live, Melanie succumbed to the brain cancer. Then she had just given birth to her 2nd. Child (a healthy little girl) and she had steadfastly refused to have CHEMO during her pregnancy. She got to hold her healthy lovely little girl, and not long after that, her struggle ended. Now I guess it's normal for all of us and her family to be sad, but we have to back-up a little and look at what she achieved. Melanie graduated, fell in love, worked overseas as a missionary with her hubby, went back to Alberta and started a family, had 2 children, and lived a full life! She lived more than twice as long as Dr's said she would. I recall a interview of her and her hubby, in which he was asked about all they had been through, and his answer was that "it has been a privilege just to have been part of Melanie's life, to love her and to have children with her" - there was no doubt about how Kevin felt about her. Well, wouldn't it be nice if all of our family and loved ones felt that way about us? It was indeed a privilege to have met Melanie and to have known her and all of her family!